Micro, small, and medium enterprises (MSMEs), are widely regarded to be among the primary drivers of economic development, employment, and innovation in emerging economies. However, a disproportionate number of MSMEs face challenges accessing the financial services they require to cover their day-to-day operations and scale into robust, sustainable businesses. Often, they have needs that exceed microfinance ceilings (typically in the range of several hundred dollars) and they cannot access financial services through banks or similar providers without established credit histories, well-documented business records, or sufficient collateral. Likewise, traditional banks tend to overlook potential MSME clients due to actual and perceived risks, transaction costs, and a general lack of familiarity with pro-poor business models. These challenges on both the demand- and supply-side have led to a financing gap in the sector. The most recent data from the World Bank Group and SME Finance Forum shows that currently 65 million (around 40%) formal MSMEs in developing countries have either unserved or underserved financing needs, representing a financing gap of approximately $5.2 trillion. Adding to that, the financial needs of MSMEs in the informal sector, which totals an additional $2.9 trillion. 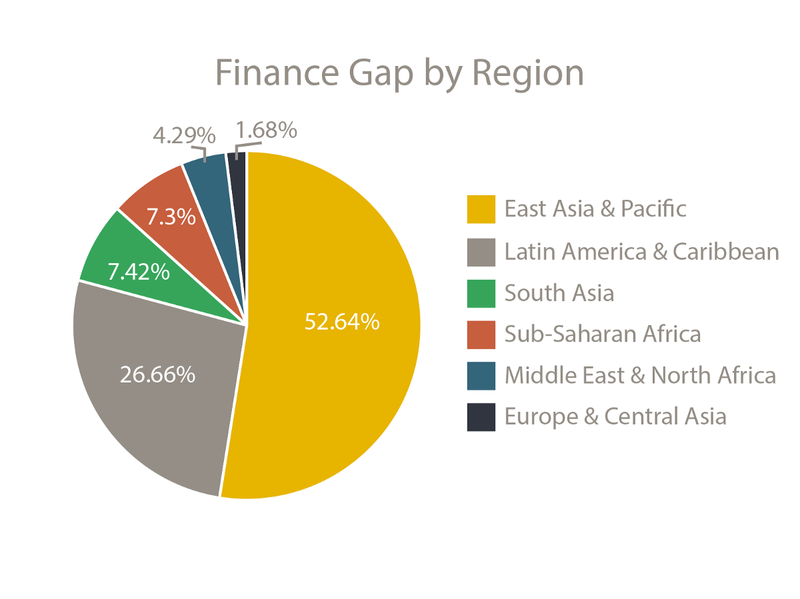 Altogether, the global financing gap is estimated at just over $8 trillion, providing both enormous opportunity and enormous challenges for financial service providers and the working poor. Despite the consensus in the development space about the necessity of addressing the misalignment between the financial needs of MSMEs and the requirements of financial service providers, there is little agreement regarding the best strategies for bridging the divide. 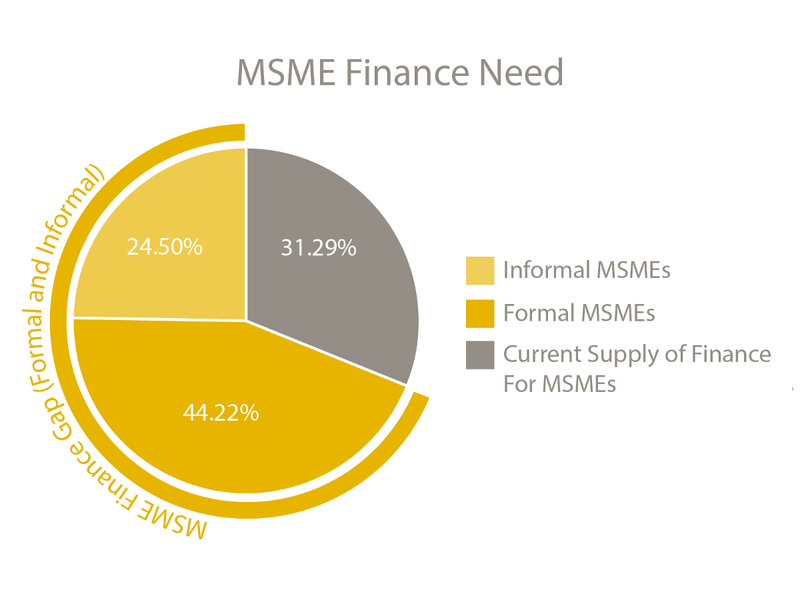 MSMEs that exist in this gap are often referred to as the “missing middle,” enterprises whose capital needs exceed microfinance ranges, but are too small to attract development finance and direct investors. The financial needs of entrepreneurs in this category can range from a few thousand dollars to the hundreds of thousands. It’s important to distinguish between what we refer to as opportunity entrepreneurs, those who have actively chosen to pursue building an enterprise from the ground up with intent to scale, versus necessity entrepreneurs, who generally come from disadvantaged backgrounds and are self-employed not because they are chasing the Silicon Valley dream, but rather because there are no other jobs available to them. Necessity entrepreneurs tend to work lower skill jobs, and often provide their communities with critical services. One such entrepreneur S3IDF has been working with, Krishna operates a Dry Waste Collection Centre (DWCC) in Bangalore, India. Krishna and his 7 employees earn their living collecting and sorting solid waste (plastics, paper, glass, etc.) from around homes and businesses, effectively subsidizing the municipality’s waste system. Although Krishna was exceptionally savvy at waste collection before his collaboration with S3IDF, he was unable to access the financing he needed to purchase a new collection truck to grow his business and increase his income. With few financial options, the Krishnas of the world exist within the missing middle. The new truck Krishna needed cost around $3,000 USD, an amount that exceeded the limitations of microcredit, but his status as an informal worker prevented him from obtaining a traditional business loan. Impact investing has been touted by some as the private-sector solution to fill the missing middle gap, but many remain skeptical of whether the sector can promote lasting, sustainable impact while achieving market-rate returns for investors. 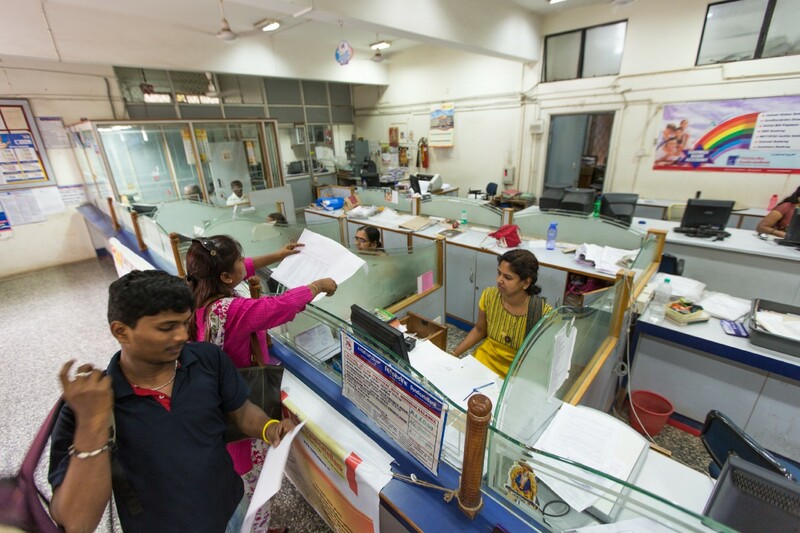 As a recent Harvard Business Review article states, “prioritizing profitability over impact can also lead institutions to provide activities and services according to which ones are most profitable, rather than which best support poor people and ultimately eliminate poverty.” MSMEs need access to a variety of services (savings accounts, working capital loans), and as they grow these needs may shift and evolve. To achieve the greatest impact, MSMEs need the financial services that best fit their needs, not the ones that are best for investors’ bottom lines. MSMEs that are positioned to offer attractive returns to investors tend to be situated towards the larger side of MSMEs on the continuum of financial needs. Although perhaps counterintuitive, it can be more difficult for a necessity entrepreneur like Krishna to obtain a $3,000 loan, than it might be for an opportunity entrepreneur to receive $100,000 from an accelerator or impact investor. At core, this issue is centered on the quantity of these smaller loans that would need to be extended to overcome portfolio management and risk costs and achieve the expected bank profit margins off of interest payments and other fees. In practice, it leaves a large portion of MSMEs with few viable financial services choices, with still fewer incentives to supply these services on the provider side. These MSMEs with smaller capital needs remain on the backburner, a subset of an already underserved missing middle. Entrepreneurs like Krishna are in this most missing section of the missing middle. When we met him, he was experiencing cash flow issues, and like many informal workers in the sector, his only option for obtaining working capital was by selling his sorted waste at below market rates in exchange for cash advances. What Krishna needed was a working capital loan. A national government loan scheme existed to fill this precise need; however, it channeled the funds through a local bank. Although Krishna was an ideal candidate for the program, he was unable to navigate the bank’s know-your-customer assessment on his own. 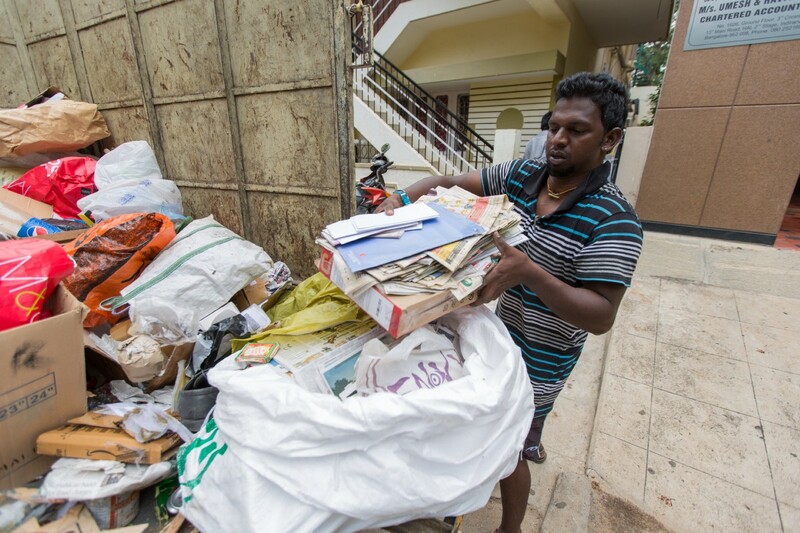 S3IDF and our partners worked with Krishna and 8 other waste workers running DWCCs in Bangalore to facilitate the loans they needed to open overdraft accounts using waste as collateral. One of our partners, a local social enterprise, provided Vijaya Bank, the channeling institution, with a “comfort letter,” agreeing to purchase the entrepreneur’s waste inventory in case of default. Thanks to the comfort letter and the business mentorship provided by S3IDF staff, the bank was able to extend affordable working capital and term loans to Krishna and the other waste entrepreneurs, marking the first-ever formal loan from Vijaya Bank to waste workers. To supply much-needed capital to missing middle entrepreneurs, S3IDF is a proponent of leveraging funds through banks and other financial institutions. By going through these channels, we can bring underserved entrepreneurs into the fold of formal financial services. Likewise, we strive to make it easier for banks to adjust their customer assessment requirements to significantly lower both the costs and risks commonly associated with financing MSMEs. One deal structure that S3IDF has found to be particularly useful are partial loan guarantees. In this structure, an outside organization, S3IDF or one of our partner organizations, guarantees a loan (in full or in part) on behalf of the entrepreneur in case of default. Typically, the guarantee takes the form of a fixed deposit for a portion of the loan that is held at the bank branch. Although there are variations in these structures, in general, the entity offering the loan guarantee absorbs a significant percentage of the risk involved. Loan guarantees are effective tools when banks and other financial institutions will not initially evaluate or assume the risks associated with particular client segments, especially those who under standard assessment procedures do not appear credit-worthy (usually with little or no demonstrated credit history or collateral). Risks can be both internal and external, and vary depending on the nature of the deal but can include misjudging market demand for a new service or product, failure of the MSMEs’ suppliers to deliver inputs in a timely manner given poor infrastructure, political instability, floods or droughts, and/or problems with MSMEs’ technology performance and reliability. To make the economics attractive to banks, S3IDF and our on-the-ground partners work closely with a group of new potential bank clientele like Krishna. Demonstrating the need and business potential for a new client segment, rather than a one-time deal, highlights the scope of opportunity for banks, and gets at the root cause of the entrepreneurs’ financial exclusion. Additionally, S3IDF works to further mitigate risk through guarantees as well as though capacity building that takes place before and during the duration of the loan. These activities include hands-on business mentorship (financial literacy training, building up a robust business plan), as well as assistance facilitating new market linkages, and identifying the appropriate technology or equipment that will improve the efficiency of the enterprise. In addition, S3IDF advocates for the use of partial loan guarantees as opposed to full loan guarantees. Partial loan guarantees require banks to put up their own capital in MSME deals and, as a result, engage more intentionally with the investment deals. By having “skin in the game,” banks and other financing institutions are more likely to engage seriously with the assessment process in a manner that will leave them better positioned to finance similar deals in the future and to extend other financial products and services to other MSME clients. For entrepreneurs like Krishna, helping him overcome the systemic barriers keeping him from accessing the financing he needed is critical to creating a more equitable, and fair market. Even if Krishna’s waste business were in the position to generate market-rate returns, a quick infusion of capital from an impact entrepreneur would not have had the same resounding effect in the community. Creating access to local tailored financing opens the door for other entrepreneurs in a similar situation, creating deep, and lasting progress in the sector. It can be easy for the nuance and depth of a market system approach to get drowned out in a sector increasingly focused on scale. In the case of the 9 DWCC operators, there were multiple market players involved (a social enterprise, a grassroots nonprofit, 2 government loan schemes, the channeling bank, and a coordinator) to facilitate relatively small loans to a relatively small number of individuals. To begin chipping away at the $8 trillion financing gap for MSMEs, there is a need for increased investment from the private sector. But this capital does not need to come out of thin air. Through pro-poor financial deals, infusions of strategic private capital can go a long way, incurring a multiplier effect by mobilizing additional funds from local banks, the entrepreneurs themselves, and other sources. Employing these kinds of financial structures can quickly halve or third the financing gap. Simultaneously working from the ground up, providing individuals like Krishna with the financial literacy and business acumen they need to be successful business owners, and from the top down, helping banks to institutionalize a pro-poor lens into their policies, enables us to affect deep and lasting change in the sector. By engaging with various market system players, entrepreneurs, technology providers, and financial institutions, this kind of work catalyzes a more robust and inclusive economy, with positive outcomes on the individual, and community levels.